Branded merchandise is par for the course for most movies and television shows. But now with so many movies and shows based on books, book lovers everywhere are getting custom and unique products that remind them of their favorite shows. This makes me wonder what other great book and merchandise pairings could be out there. Here are four that I would love to see exist. Music, specifically 80s punk and new wave, plays a role in this sweet love story, which makes the relationship here pretty obvious. This one may be the one I would push for the hardest. 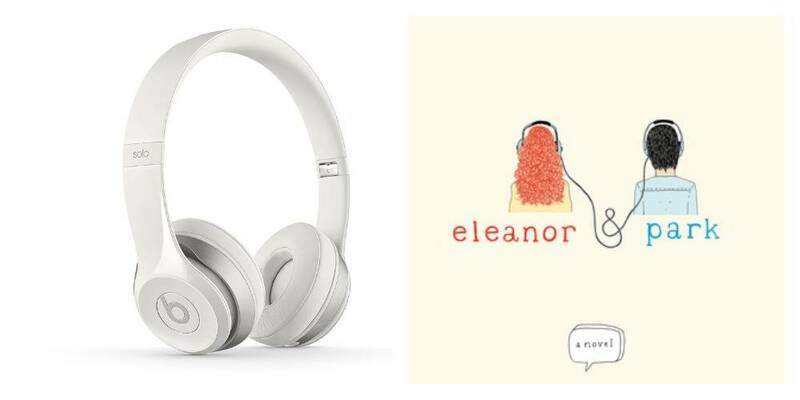 I don’t even want Beats headphones, but if they came out with a pair in that pale yellow color with an image of Eleanor on one ear and Park on the other instead of the “b” logo, I would not hesitate to hand over my money for a pair of overpriced headphones. Personally, I think this could be perfect for a brand like L.L. Bean. Just imagine all of those people who read the book (or watch the upcoming film adaptation) and feel inspired to explore the great outdoors and have their own self-discovery moments – they are going to need to get their gear together first. However, an entire clothing line may be a bit ambitious for some, so at minimum there should be a hiking boot, which is already iconically linked to the book because of the cover. Anyone who has read the book can see the obvious connection here. The virtual reality gaming system is literally a step in the direction toward our currently world becoming Ready Player One. However, my ideal situation would not be to live in that world (for obvious reasons), but to have a game based on the story that allows you to play as Wade Watts and try your best to solve the 1980s-based puzzles in order to win the game. One of the best aspects of the book was the creepy and unsettling photographs that were integrated into the storyline. With the app, you could use different filters and settings to turn your photographs into creepy images that look like they could have been included in the book. Technologically-speaking, I don’t really know if this is possible, but I’m just the idea person here, people. These are my four picks. Which books and merchandise lines are you just waiting to be made? The Nobel Tolls for . . . ?